There is some damage here in Brooklyn, but the great Hurricane of 2011 (following the tiny earthquake) was fairly reminiscent of Y2K and the WTO protests: much ado about little (though I’ve read that Vermont got hit hard). Did a lot of reading. Patti Smith’s book is really that good. Buy it, read it, love her. Paired the end of the Foris Pinot Noir 2008 with a red velvet doughnut and finished that last of the 1970 Burmester Colheita with a cinnamon. Both bottles were safely preserved, vacuum sealed, with my trusty Vacu Vin, and both doughnuts were from Peter Pan on Manhattan Ave. Seeing as I’m alive, without reasonable transportation, and having no real storm damage to deal with, I’ve just pulled the cork on a Numanthia Toro 2000 for no good reason at all. This wine was made from 100% Tinta de Toro grapes from ungrafted vines of 70 to 100 years old, 2300’ above sea level. This label has only been around containing their current cuveés for a little over a decade, and while these wines are consistently bold and beautiful, we’re just beginning to get an idea of their true aging potential. 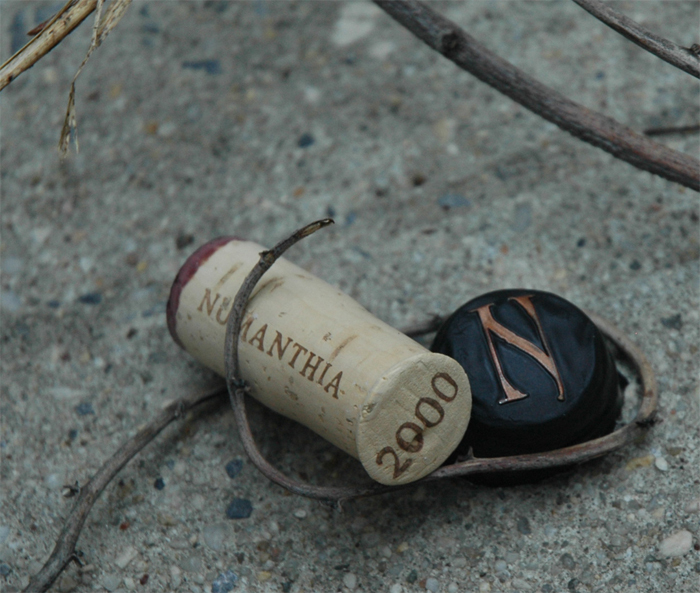 This Numanthia Toro 2000 has settled down considerably since last tasting; the alcohol, the tannins, and the oak, once an overbearing cacophony of monolithic structure, no longer obscure the considerable fruit and cavernous depth of this beast. If a color can approach opaque and/or black and still qualify as some kind of brooding ruby, this would be it. 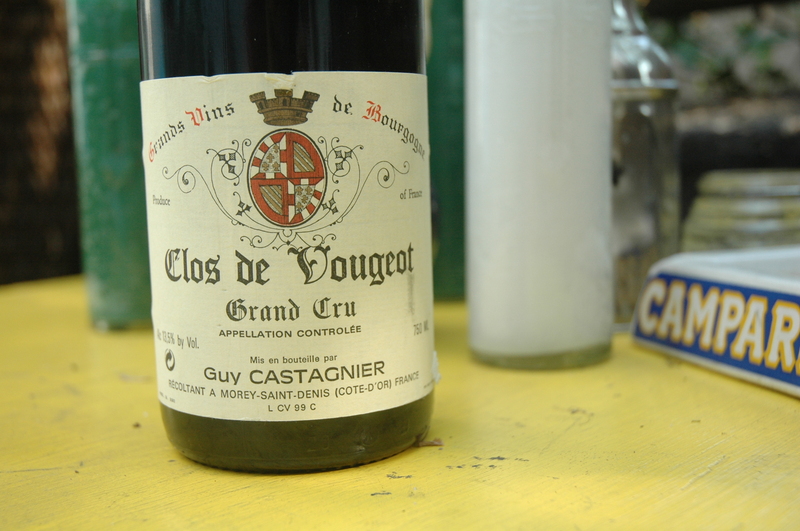 The nose is initially somewhat muted, showing some black fruit, glycerin, and asphalt, but this wine’s gifts are largely of the deep palate of red currant, under blackberries, followed by the less prevalent cassis and vanilla extract. After considerable breathing time a deep mid-palate dryness evolves, stretching the experience through the long, undulating finish. 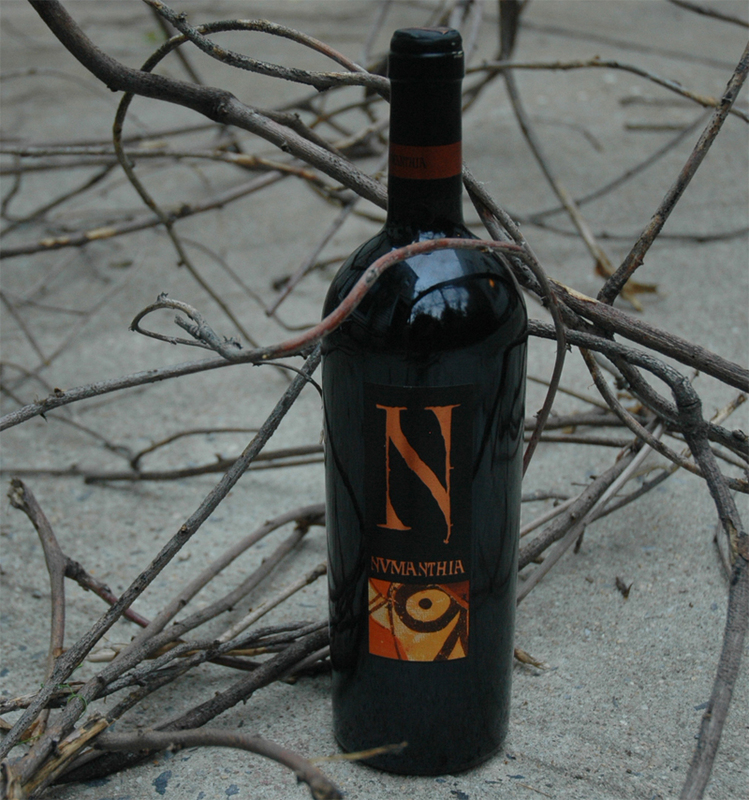 Today, the Numanthia 2000 is serious juice, and while warm and welcoming, this wine still maintains significant weight and shows a touch hot, and will only improve with continued bottle aging. Tonight I’m making fish. The details are still coming together, but I have a couple of very nice snapper fillets and a bottle of Foris Pinot Noir 2008. Red wine can absolutely go with fish and I am a firm believer that there is a pinot noir to go with anything/everything. Tonight, that theory is being tested further as I’m swapping some of this pinot for the dry white wine in a beurre blanc sauce (beurre rouge?) to go with the lovely snapper which will likely be lightly seasoned and pan seared, possibly finishing in the oven. With some trepidation and a healthy skepticism, I’m listening to an advance copy of Wilco’s upcoming LP, The Whole Love. While their last couple of studio releases have been far less interesting- lyrically and sonically- than just about everything that came before, this new album comes with a high recommendation from a reliable pro. The first track, “Art of Almost” catches my attention before it begins to play, clocking in at over 7 minutes. The opening is a strange layered drone over a cool beat that dissipates into a synthetic textural cacophony with just enough space for Jeff Tweedy’s vocals to creep in, unannounced. Before the first vocalization, I’m not necessarily convinced, but I’m most decidedly listening. Thirty second into this song, it might be mistaken for Radiohead, halfway through minute 6, it could just as easily be a Nine Inch Nails tune as re-imagined by Aphex Twin. But such momentary surface analogy is trite and there’s a lot more going on, here on this record, than anything since A Ghost Is Born, if not Yankee Hotel Foxtrot. More than one considered listen is clearly required here. Wilco is back. 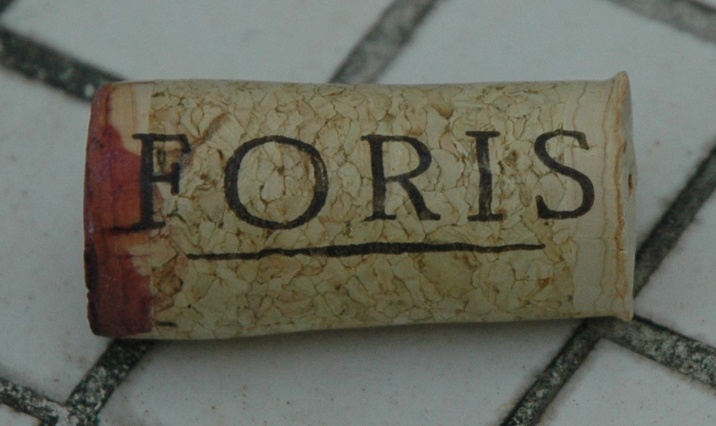 The Foris Pinot Noir 2008 is from the Rogue Valley which is something of a remote outpost for Oregon Pinot Noir. This medium-bodied pinot is medium ruby in the glass and underneath the initial waft of alcohol, red fruit and forest floor begin to stir. There’s a classy crisp, but long and tapering, acidity that I have come to associate with Foris’ low alcohol, low cost pinot noir. After an hour of breathing, wild savory herbs and hints of sunberry and camphor mingle with the red cherry and predominant raspberry. 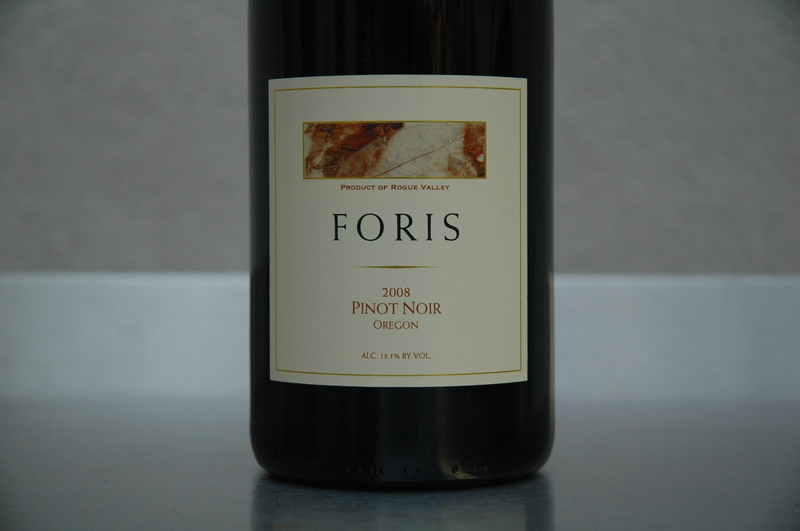 Foris’ ’08 pinot is pretty and unassuming, nicely balanced, but far from flimsy, though full mature integration of alcohol and fruit will likely require another 6-8 months in the bottle. And much like the lighter-styled low alcohol pinots from The Eyrie Vineyards, you’ll be surprised how well and how long this wine will age. While highly enjoyable and food friendly today, the rest of this case of Foris Pinot Noir 2008 will get some well deserved down time in the cellar. Have a nice nap, my friends. One of the very first auction cases I ever purchased (for a song) was a mixed case of 1970 Burmester Colheita and 1970 Krohn’s Vintage Port, procured from a Sotheby’s auction, many moons ago. Down to my last bottle of each, I cracked the Burmester recently, expecting it to likely be well past its drinking window. Colheita is a tawny port from a single vintage, aged for at least 7, but up to 20+, years in wood barrels before bottling. This is, of course, contrary to vintage port which spends a much shorter period in wood and does most of its aging in dark heavy bottles. 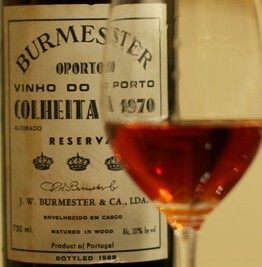 This 1970 Burmester Colheita was bottled in 1988. All that pickin’ I was absorbing during the last post has left me in that kind of a mood and Bill Monroe has been spending a fair amount of time on my desktop. No other single human being is as associated with the inception of a widely recognized genre of American music as is Bill Monroe with Bluegrass. With the 1946 addition of (then not yet legend) banjo player, Earl Scruggs, to his previous string ensemble, the instrumentation and style of Bluegrass was formed. Along with the rest of Monroe’s Blue Grass Boys (Lester Flatt: guitar; Chubby Wise: fiddle; Howard Watts: bass), between ’46 and ’47, recorded 28 songs that soon would be canonized as the original Bluegrass standards. These tunes included “Blue Grass Breakdown,” “Molly and Tenbrooks,” and Monroe’s best known, “Blue Moon of Kentucky.” The last of which made an indelible impression on early Rock & Roll when it was recorded by a young Elvis Presley in 1954. The 1970 Burmester is still beautiful but growing lithe. Visually, it’s a deeply ruby-hued brilliant, but light gold, far more resembling an ancient cognac than any form of wine. While the nose is also similar to a long aged cognac of high pedigree, it doesn’t show the level of alcohol that such a cognac would. At this stage of its life, the palate is almost barren of fruit, but a deep and nuanced caramel persists, mingling with cocoa powder, and hints of sweeter milk chocolate, as well as dry cigar tobacco. 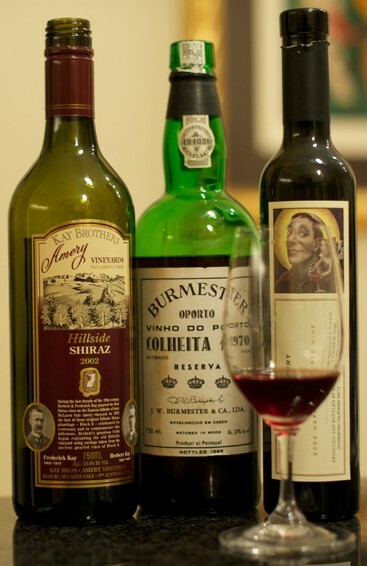 Once again, tempted by the available options, a little simple alchemy occurs and a small glass of the remaining ’70 Burmester is dosed with a small shot (about 10% of total volume) of the previously blended dry reds: (2/3rd Kay Brothers Amery Hillside Shiraz ’02, 1/3rd St. Supery Elu Red ’02). The dry blend returns fruit and mid-palate body to the aging caramelized cocoa sweetness of the 40 year old Colheita. While It would be a sin to foul the original intent of a full bottle of anything so rare, this evenings small amount of experimentation only enhanced the tasting experience. The Dark Art of Blending (Part 1): Kay Bros. Amery Hillside Shiraz 2002, St. Supery Elu 2002, and Psychograss! Over some quality company and unspectacular takeout, the topic of Chateau Palmer arose via thoughts on American Cabernet Sauvignon, then Bordeaux style blends. I mentioned that I own a case of Chateau Palmer’s exceeding rare Historical XIX Century Wine from 2004, the first vintage in which they bottled the controversial blend containing 25% Syrah from an unnamed source in Northern Rhone (Hermitage?). The evening began with a light OR pinot (Cloudline ’08) then on to Kay Brothers Shiraz Amery Hillside 2002, followed by St. Supery Elu Red 2002. I’m listening to the kinetic string alchemy of Psychograss Live in Vermont, fittingly also a 2002 vintage, recorded May 4, 2002. With traditional Bluegrass instrumentation, Psychograss is a super group, each of whose members is an undeniable master of the venerable acoustic genre: Darol Anger (fiddle), Mike Marshall (mandolin), Todd Phillips (bass), David Grier (guitar), Tony Trischka (banjo). Individually, their credits are too numerous to list, together their sound is simultaneously expansive and exploratory yet tight and universally connected. Darol Anger (who once explained the inception of bluegrass as a supersaturated solution) told me that he sees Psychograss not as a band made up of Bluegrass musicians, but as a non-verbal high speed conversation about Bluegrass [amongst masters], employing that classic Bill Monroe instrumentation. A small remaining glass of the Kay Bros. Shiraz found itself with about a 1/3rd blend of St. Supery Elu swirling about it. As it was happening, my host’s face was making similar perplexed contortions to those yours might be making right now. His face quickly grew blissful as his palate absorbed the unholy potion. So many beautiful wines are blends of different varietals, usually fermented separately, so why is blending wines that were bottled separately (9,000 mile apart) so shocking? 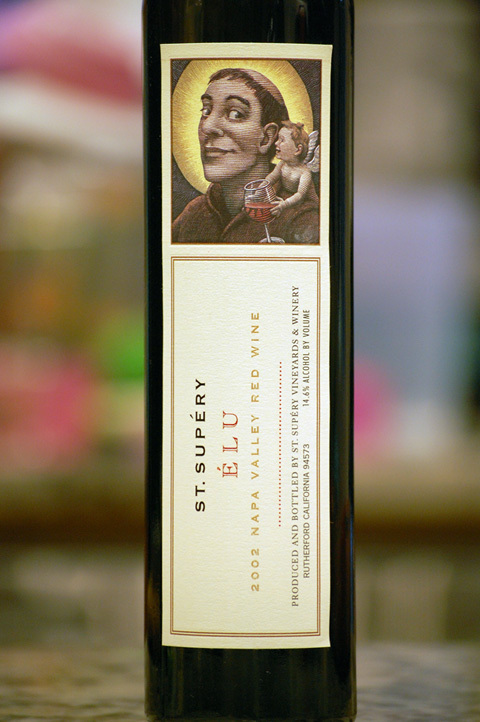 On it’s own the ‘02 St Supery Elu (from half bottle) is still settling into itself, and while the red and black fruit forward 85% Cab blend is quite attractive, the tannin still requires some bottle aging to fully integrate. 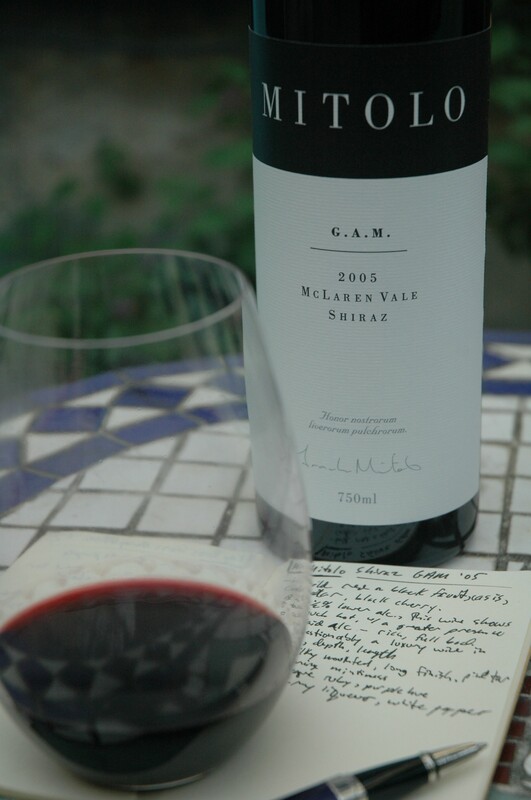 Conversely, the ’02 Kay Brothers Shiraz Amery Hillside is round and supple, not a hard edge to be found, but much of the wine’s original weight has been integrated away. It’s still fleshy and hasn’t gone soft, but it’s current profile gives a glimpse of the back edge of the plateau, that begins that inevitable decline. The blend of 2/3 Kay Bros. Shiraz and 1/3 St. Supery, as my host’s elated grin attests, is quite marvelous, bordering on revelation. That slightly under ripe Bordeaux-style blend bolsters the weight and spice of the seamless beauty of the the shiraz, resulting in a drinking experience flirting with the sublime. The wine list at St Anselm is remarkable for a boutique restaurant. While there’s very little wine of any significant age, the selections are deliberate, the mark-up is modest, and some of the finest artisan winemakers in the world are represented, including American originals like Sean Thackrey and Scholium Project. Having been before, and desiring to pair St Anselm’s $15 butcher’s steak, I braved the $25 corkage fee and brought my own: Guy Castagnier Clos Vougeot 1999, Kay Bros. Shiraz Amery Hillside 2002, Mitolo Shiraz G.A.M. 2005. It was a beautiful succession of ever deepening reds, but only the last will be full noted here. I’m listening Todd Snider’s “Just Like Old Times” off of his 2006 album, The Devil You Know. If there is a future, Snider will unquestionably be recorded as one of the great songwriters of these days. “Just Like Old Times” celebrates a different kind of American Dream. This one finds our hero, and his trick-turning high school sweetheart, holed up in a motel room, swapping chemicals and stories. It’s a moral universe, more matter of fact than tawdry, in which politely evading the authorities- without having to flush the evidence- is a victory for all human kind. Snider has seen more sides of life (and more rehab) than most will experience in a lifetime, and he conveys these moment with a brutal honesty, a rare charm, and an encompassing wit. 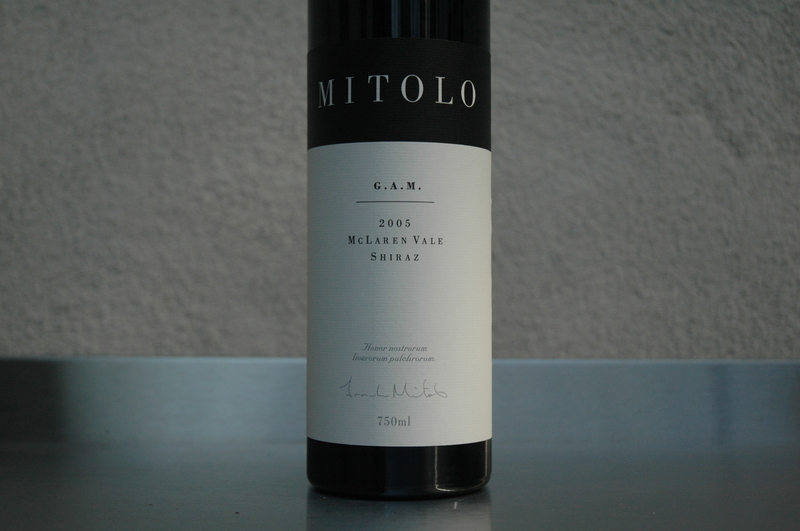 The Mitolo Shiraz GAM 2005 is deep opaque purple-hued ruby. It’s bold and rich with black and red fruits: black raspberry, cassis, black cherry, tempered by the presence of cedar and weight pine tar. This wine is most definitely mature, but the tannin, though sweet, will still integrate further, with continued bottle aging. 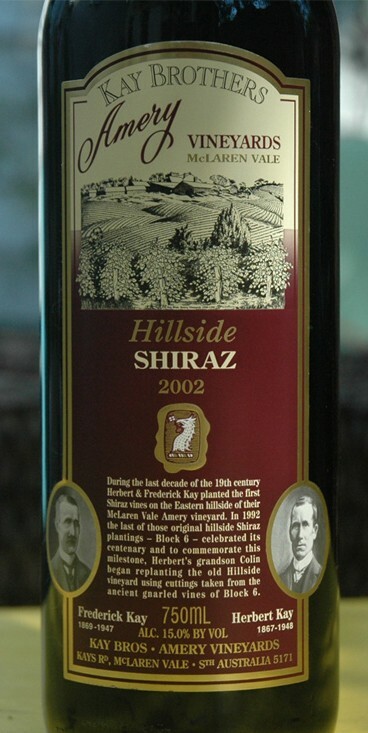 At 14.5% alcohol, this wine initially shows a touch hot with a greater presence of alcohol than did the higher alcohol (15%) ’02 Kay Bros. Amery Hillside Shiraz. This Mitolo is the definition of rich and full bodied, with a lush, silky mouthfeel. 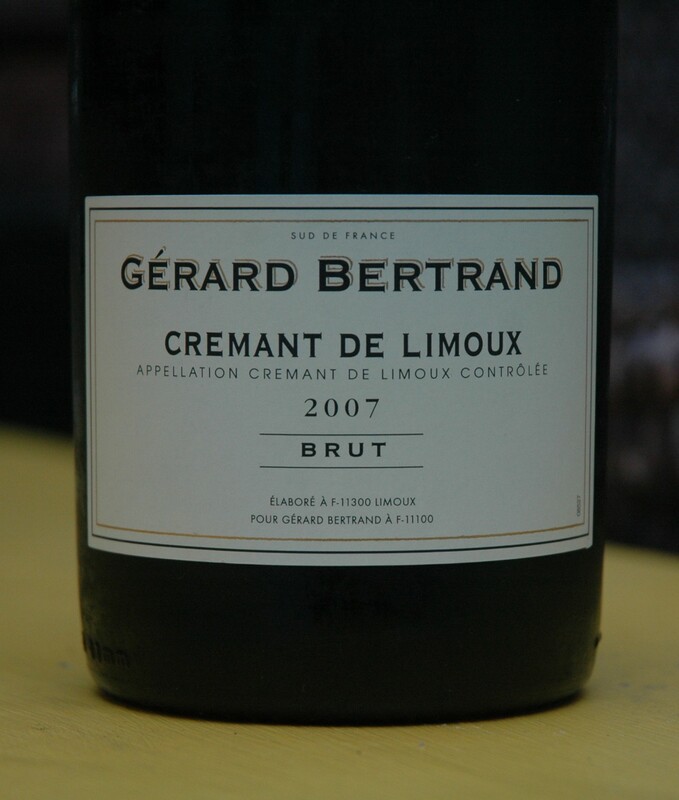 Its dense velvety texture falls short of jammy and manages to balance its significant endowment of alcohol and fruit. Dry blackberry liqueur and white pepper flood the long undulating finish, which leaves the palate with the lingering freshness of mint and a dusting of spice. This is very serious juice with at least another 5 years to thrive. Pair it with lamb, game, or a well seasoned, properly cooked butcher’s steak.